To participate in the 100-Day Project 2016, sign up for the newsletter from Elle and her team (project begins Tuesday, April 19, 2016). Due to new projects, TGD will not be involved in the 100-Day Project like last year. However, we’ll be cheering participants on from the sidelines as we focus a new print issue, a new events series, and a new podcast! You can start your own project anytime following the instructions below. For more inspiration, view TGD’s 2015 Newsletter Archives (April 6, 2015 to July 14, 2015). Welcome to #The100DayProject home base! Here, you’ll find an overview of the project, discover how you can participate and follow other participants, and learn more about Elle Luna’s inspiration for the project. 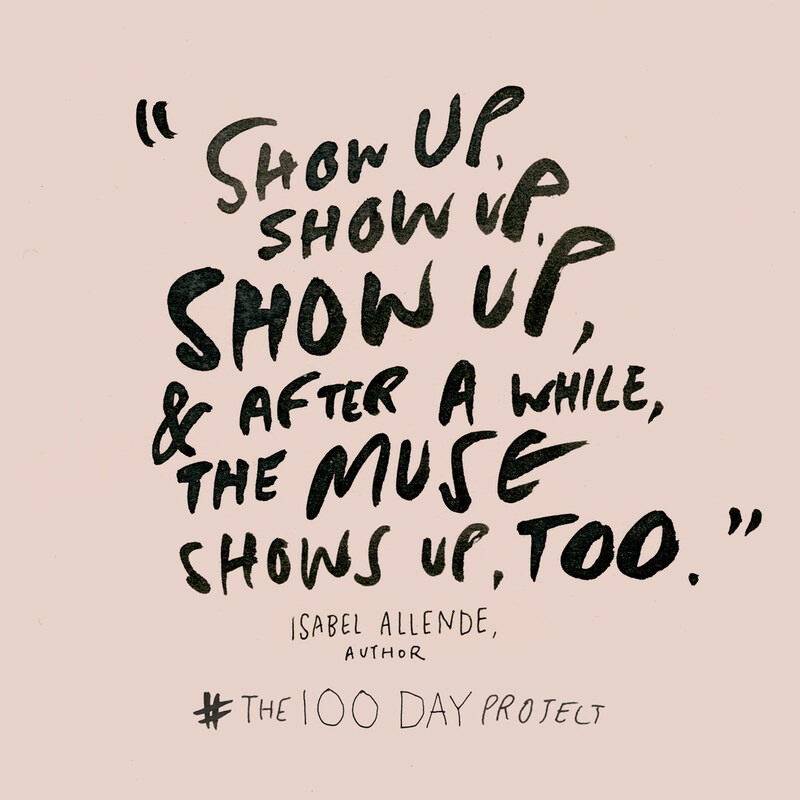 Sign up for #The100DayProject newsletter for important announcements prior to and throughout the project. See update above. Choose your action, which you will perform every day for 100 days starting on Monday, April 6th, and ending on Tuesday, July 14, 2015. Note: If you're just now finding us, you can still participate. You can choose to join in and catch up if possible or start at Day 1 and finish at your own pace. Create an Instagram account if you don’t already have one (this is where you’ll share your photos). Announce your project on Instagram. 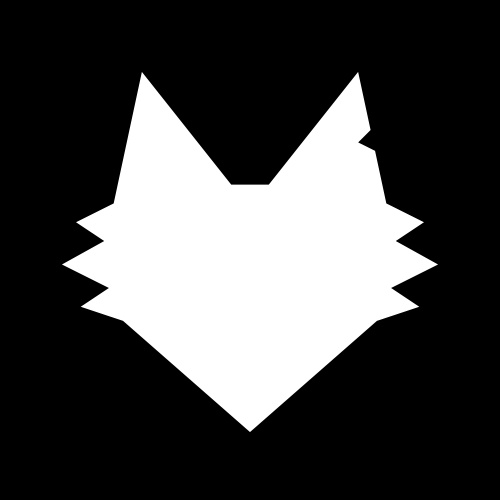 Download an image and post it on Instagram, along with your project’s unique hashtag, to announce your project before April 6th. What should I do for my project? We’ve put together a few questions to help you get started. What are you passionate about? Is there something you used to do that you gave up, something you’d like to explore, something that intrigues you? Pick an object or objects. What do you already have in your possession that could be used to facilitate this project? it could be as obvious as paint and paintbrushes, a camera, fabric and a sewing machine, or a musical instrument. Or it could be less obvious, like your great dance moves, paint chips, a wooden chair, or strangers. Consider your location. Will you be home, traveling, or a combination of both? Pick something that’s feasible for you to complete. Initially inspired by a grad school project conceived by Michael Bierut—a prolific, talented designer, writer, and teacher—Elle and a group of friends decided to launch a social media version of the project in 2014. For years, Michael Bierut led graduate graphic design students at the Yale School of Art in a workshop that he called “The 100 Day Project.” The premise for the class was simple: each student chose one action to repeat every day for 100 days. For example, one student made a poster in under a minute every day for 100 days; another danced in public every day and made a video; another student, Rachel Berger, picked a paint chip out of a bag and responded to it in writing for 100 days. In 2014, Elle and her friends banded together and decided to share their projects on Instagram, tagging images with #The100DayProject. People of all ages joined in, and it was incredible! Those who participated were empowered by the accountability of doing the project alongside others in a very public way on Instagram. 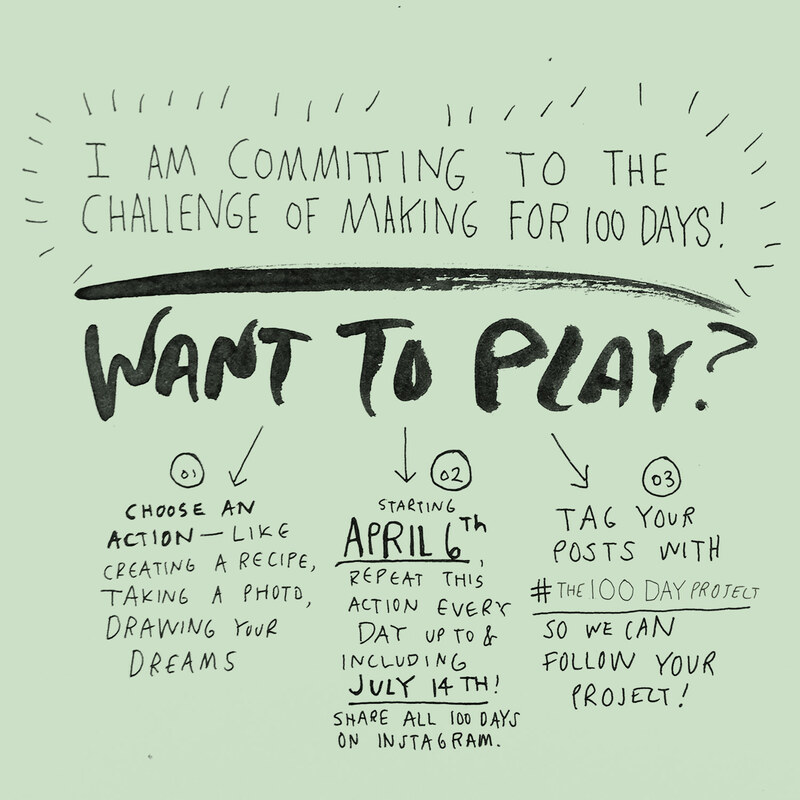 Now, the 100-Day Project is back with Elle at the helm, asking anyone who will answer: What could you do with 100 days of making? Who should participate? Anyone. Anyone who is hungry to jump-start their creative practice, who is curious about being part of a community that celebrates process, and those who are busy with work and family commitments, but searching for a bite-sized way to play creatively. Learn more in TGD’s feature on Elle and the 100-Day Project. Elle Luna is a San Francisco-based artist, designer, and writer whose first book, The Crossroads of Should and Must, debuts in April 2015. 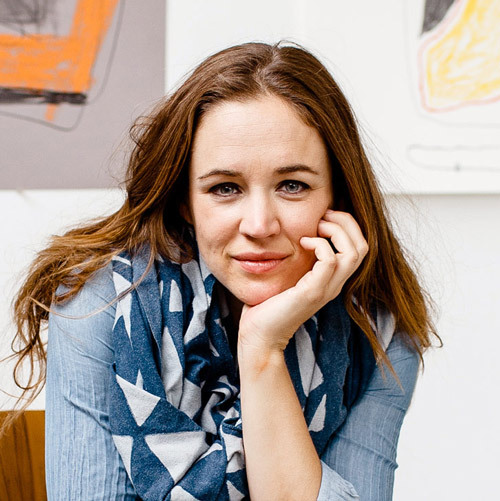 She previously helped design Mailbox's iPhone app, redesign Uber's iOS app, scale the storytelling platform, Medium, and spent five years at IDEO. Read Elle’s full-length TGD interview to learn more. The Great Discontent is a triannual print publication and online magazine featuring candid interviews with those who create. Focusing on beginnings, creativity, and risk, TGD provides a memorable look into the lives of its subjects via long-form interviews, short features, and film-based projects. Visit thegreatdiscontent.com to learn more.